Ask fellow campers about "Dreher Island State Recreation Area" and nearby attractions. Very enjoyable stay at Dreher Island Campground...love the location of the sites in relation to the lake. The gas and general store are really a great feature, as are the campsites being paved. --My suggestion would be boat ramps in close proximity to the camping sites. --Also, due to supply/demand, it would be nice to see more camping areas on the island. It is a wonderful place, but must book way in advance. 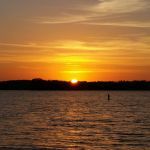 (booked June 2019 in Oct 2018) We camped at Dreher Island State Recreation Area in a Motorhome. Frayed Knot restaurant via boat is less than 5 minutes. Buffalo Creek via boat is about 10 minutes. Lake Murray Resort is about 12-13 minutes. Lots more eateries on the lake for wonderful experiences. Great campground. Here are a couple of the things about our recent trip. The campground is all paved in the front Campground so you're setting up on the pavement which makes things a whole lot better. The pavement is only the size of the camper, so when you step out your stepping right onto gravel and/or grass. The road coming into the front campground is narrow but it is pretty much at water level so easy access in and out of the water for you and your kayak if you wish to take one. Facilities are very nice. all the bathhouses have been remodeled and are even air conditioned and heated. this is very very nice during the summer time. The boat ramps can get very busy on the weekends. there's one that is set up for large tournaments so the boat traffic in the area is very high so the water became very choppy so be careful when using a kayak. There's not too much around the Island so driving to get something was roughly a 10 to 15 minute drive to the closest town of Chapin. Groceries store (6 miles), Walmart (20 miles) The camping store/Ranger store does have a couple of items like ice, basic camping supplies, propane, charcoal, Etc. They also has some food items. they also sell live bait for fishing and rent fishing rods. The Back Campground is up higher than water level so to access the water was a little more challenging but the sites were very beautiful. Some of them were not paved and were gravel. There were several swimming areas around the State Park which meant accessing the water was very easy. There's a couple of hiking trails The only thing that I would say is negative about this park is the campground roads are really narrow. Backing a trailer into your site can get kind of difficult especially when people around you have cars parked everywhere. We camped at Dreher Island State Recreation Area in a Travel Trailer. This park is 30 minutes from the interstate which makes it time consuming to get to because the roads are narrow and winding. It is a beautiful park with lots of trees. Many of the sites are lakeside with great views. The sites on the lake are a lot cooler because of the breeze. Many of the sites are hard to back into. All of those on the inside of the loop are hard to get into, with sharp drop offs. The sites were all paved and fairly level. The sites are narrow with limited area to put chairs or tents. We camped at Dreher Island State Recreation Area in a Fifth Wheel. Fairly level site with a beautiful view of the lake. There was a bass tournament while we were there so a bit noisier on the lake. We enjoyed bike riding around the campground. Overall this is a beautiful state park. We camped at Dreher Island State Recreation Area in a Travel Trailer. Great campground! All SC campgrounds we have visited have good facilities but this one had newly remodeled restrooms and showers. The campground is well maintained and rangers ride through frequently. Roads are kind of narrow which is not a problem for us but might be tight for a long RV. At least half of the sites back up to the lake. We would stay here again. We camped at Dreher Island State Recreation Area in a Tent Trailer. Gorgeous state park! Not sure about Loop B, but Loop A has updated bathrooms with huge showers. Also, the showerheads are adjustable (oh joy oh bliss)! Site 21 was awesome as the site closest to us was "out of order" and we faced the water. Also, we faced away from the prevailing winds. The hosts were quite visible during our stay. Lots of birds and we even saw a deer. Will definitely return! We camped at Dreher Island State Recreation Area in a Travel Trailer. Chapin is close by and has everything you could need. Dreher State Park near Columbia, SC has the best location. The whole park is surrounded by Lake Murray. Many of the sites are right next to the water. 30amp only. No sewer hookup only two dump stations for the entire park (one per camping loop). As others have reviewed, the baths are old. There are cobwebs everywhere in the baths. The baths were clean and stocked. As stated by others there are downed trees all over the park. I think they are trying to replicate a natural forest. My spot #80 was said to have a sever grade. I didn't find it that bad for my '34 trailer. I leveled my trailer with the use of a jack stand at the tongue jack. There is no TV cable. OTA gave us almost 20 channels. No Wifi. It all doesn't matter - Location, Location, Location. Many sites had their personal boats anchored right at their campsite. We camped at Dreher Island State Recreation Area in a Travel Trailer. Good expeience, great lake view, steep walk down to a nice pebble beach from site 66B. All sites in B appeared to be asphalt paved as were all roads. Sites were narrow with drainage swales between them. Park was very shady, quiet but some non camping traffic at times. Dump station was convenient on the way out and well maintained. We camped at Dreher Island State Recreation Area in a Travel Trailer. Lots of folks come to this park to launch boats and fish. The gift shop was pricey and did not have much in the way of supplies, groceries, etc. We found good grocery stores and shops in the town of Chapin about 5 miles away. This was our second trip to Dreher, but first with our PUP. We opted for a site on the lake side. The sites are well maintained, even after the major flooding over the last couple of years. Sites are well maintained pavement and most sites are level. Careful on some sites that are right off the lake as they do slope to the edge. Suggest bringing extra boards to level. Campground store is small and priced fairly but the closest grocery store is 30 mins. Pack wisely! We camped at Dreher Island State Recreation Area in a Tent Trailer. The beaches in 2016 were washed away from the large flooding event in 2015. Use water shoes as the shores are rocky and can be a bit of a pain in the foot. Stayed in camp ground B, site 50. Site is fully paved, fire ring and picnic table. It's nicely wooded and looks at big water, not water front, water view. The driveway is flat at the top and has a slight grade after about 20 feet. If you're in anything over 30 ft or so, make sure you have blocks for your frontt leveler(s). I dumped my air bags and then leveled and was fine. Also, the location of the site in ref to how the road turns is pretty tight getting in with a 40'er. This site faces south, if you have a directional antenna, point it south, I received about 18 channels. We camped at Dreher Island State Recreation Area in a Motorhome. What a beautiful park! A large park and still almost every site backs into the edge of the lake which works great for us as we have a back living room with a big back window. Our site was long, which is a must for us at 33' and the 30 amp utilities were well placed. No sewer, but there is an easily accessible dump station. The pads are asphalt and could use a little upkeep, but all in all a wonderful place to stay. Plenty of walking, but only a couple of short hiking trails. We are full-timers and look for places we would want to stay for weeks at a time. This is one we would love to stay at - but would need full hook ups to really do that. We camped at Dreher Island State Recreation Area in a Fifth Wheel. Chapin is a quaint little town, but seems to have everything one might need. Loop A, Spot 20 is a great spot for the 40' pusher. Elec, water, bath/shower house were great and newly remodeled. Can't say much more, for 24 bucks per night, on Lake murray....this is a no brainer. We've stayed at this SP several times before, first time in loop A, smaller than B, but still a great time with walking ad biking trails. We camped at Dreher Island State Recreation Area in a Motorhome. First off, I'd just like to say we had issues with our coach the last day and the amount of professionalism and southern hospitality from the staff was just awesome....absolutely the greatest group of people working at BDI (Billy Dreher Island). We stayed in site #32 this time, I've stayed in #33 and it's nice too, but #32 has a wider asphalt drive and is fully paved and is level. Great access to the cove, great views of wildlife, short walk to the bathroom/shower house if you use them and we did. Great place to walk or ride your bikes, fish, boat, etc..... The camp only has 30 AMP service (Our coach is 50 AMP and it was 100 degrees outside) with a 20 AMP 110 and water with the standard community type sewer dump station. It also doesn't have cable hookup, but you're not suppose to be watching TV anyway. This is a great spot to get use to and just relax. We camped at Dreher Island State Recreation Area in a Motorhome. Get in as early as you can so you can spend the most amount of time as you can at BDI.....you won't regret it! Super nice on Lake Murray. I was on the island furthest out and backed up in a cove as I didn't want to be on the big water side. The staff (Park Rangers) were extremely informative and they know their park; they also had a sense of humor that you don't normally find! I think I had the best site there and they recommended it! I didn't use the showers or restrooms as I have that in the coach, but as clean as the park is, I'm sure they are in top working and clean order. Saw a couple of deer in the early am, ducks in the cove, fish still jumping in the water, the area is wooded, but cleared only where it is needed and that is nice to see.... I will return, summer has to be super good, heck, you're on Lake Murray! We camped at Dreher Island State Recreation Area in a Motorhome. Are you affiliated with Dreher Island State Recreation Area ?